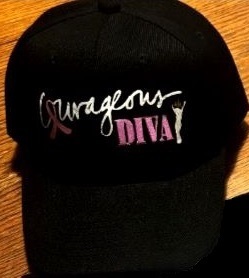 The Black "Courageous Diva" Cap has the words, "Courageous Diva" in white and pink on the front center. 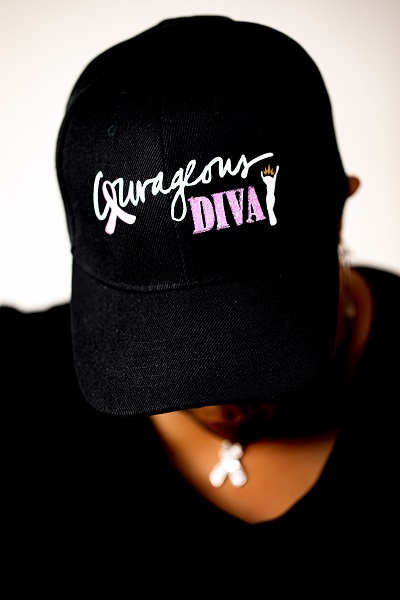 It is a six (6) panel baseball cap with a pre-curved visor and velcro adjustable closure. 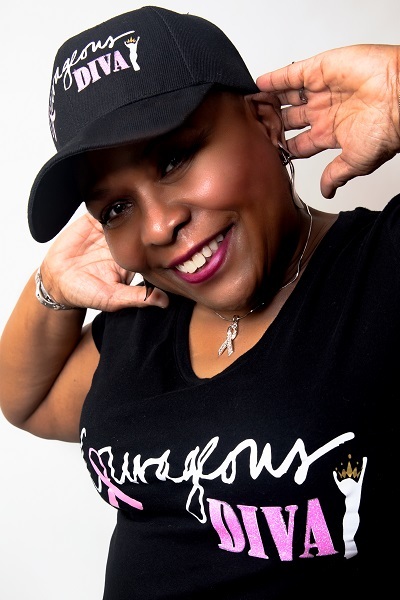 While one size fits most, the back velcro closure allows you to adjust the cap for your ideal fit. The cap is made of 100% acrylic.